Automatic promotion hopefuls Fulham will look to close the gap on the Championship’s top two as they face a trip to an in-form Sheffield Wednesday in the Championship on Saturday. 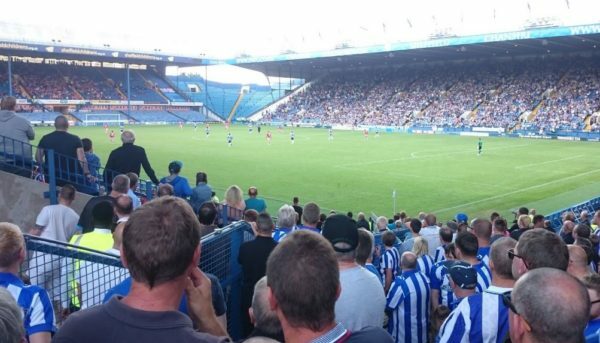 This will be the 33rd competitive fixture between the two clubs, with Sheffield Wednesday ahead on the head-to-head record with 14 victories compared to Fulham’s nine. Sheffield Wednesday ran out 1-0 victors at Craven Cottage back in August thanks to Steven Fletcher’s second half strike. However, Fulham won 2-1 on their last visit to Hillsborough in May, thanks to a double from Neeskens Kebano. The West London club have only one victory against Wednesday in their last seven meetings. Fulham sit third in the Championship and five points off second-placed Cardiff City and automatic promotion, while the Bluebirds have a game in hand. However, Cardiff meet league leaders Wolves on Friday evening meaning that the Lilywhites have an opportunity to make up ground with a win in Yorkshire. Slavia Jokanovic’s side have the second strongest away record in the division with 35 points from 20 matches on the road, while Wednesday have just 25 points from their 20 home matches – the 20th strongest record in the division. Jos Luhukay’s side have won three league games on the spin – scoring nine goals in the process – the first time they have embarked on such a run all season. The hosts are expected to continue to deploy their 3-4-1-2 line-up which is headed by Atdhe Nuhiu and Lucas Joao, although Fernando Forestieri is hopeful for a start. Fulham will continue with their 4-3-3 line-up which is headed by Aleksander Mitrovic and flanked by Floyd Ayite and Ryan Sessegnon, with Oliver Norwood and Tomas Kalas among those pushing for starts. These two sides are in form, but Wednesday’s three victories in a row pales in comparison to Fulham, who are unbeaten in 14 games and have won 11 of them. The West London club’s incredible run of form appears to have come too late for an automatic promotion race, but if they pick up maximum points until the end of the season they will still believe they can catch the top two. Home advantage plays no role in this fixtures as both sides are comparatively stronger away from home; indeed, Fulham have picked up 10 more points on the road than Wednesday have at Hillsborough this season. An away win is the likely outcome from this fixture but the most likely outcome is we will see goals – 12 have gone in across Wednesday’s last three matches while it is eight goals in the same timespan for Fulham – of that combined figure of 20, the two teams in the clash netted 15. Your first deposit/transfer (minimum £10) to Casino will qualify for a 100% matched bonus, up to a maximum of £100. This is your ‘qualifying deposit/transfer’. Select the Offer Code BONUS100 when making your qualifying deposit/transfer. You will need to wager the amount of your qualifying deposit/transfer (capped at £100) and bonus 15 times on eligible games before you can withdraw your bonus funds and any winnings from them. Not all games contribute, or contribute at the same rate towards the wagering requirement. Please see Full Term 6.